Discover polo in a fun, social environment. Polo Kidogo initially requires all new participants to have a private assessment lesson. Brett Kiely is an experienced coach at all levels of the game. Whether you are a total beginner or an experienced player wanting to refine certain skills, a tuition programme can be tailored to your needs. Polo Kidogo offers private or group lessons which can be arranged to suit your timetable. There are horses available which are suitable for beginners. Previous riding experience is obviously an advantage, although not a necessity. The lessons can cover all aspects of the game from basic stick work to the rules and tactics of polo. 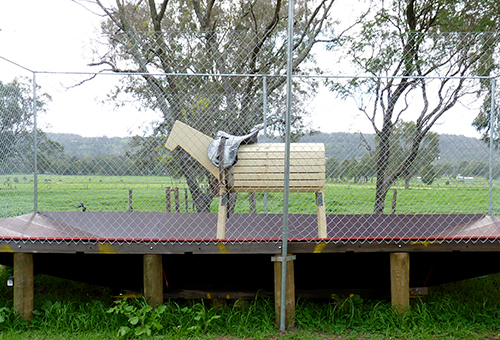 There is also a wooden horse which can be used to learn the basic strokes and practice your hitting technique. If you are after a taste of real polo you can join the members of the Serpentine Polo Club for their Wednesday evening practice chukkas. To join in practice chukkas without an assessment lesson you will need a recognised Polo Handicap. These are slow practice chukkas under tuition and a great way to learn more about the game. These are held at the start of the season and a great way to get a really thorough understanding of the rules and tactics of polo. Alternatively, join in the fun of the social Trot Polo! 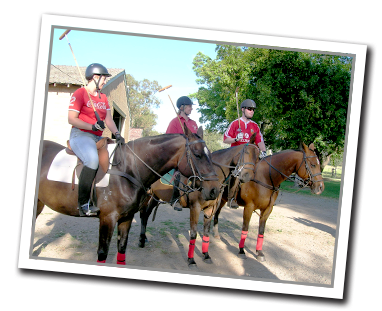 Trot polo offers a supportive, fun and super casual, yet spirited environment in which to learn this unique sport. 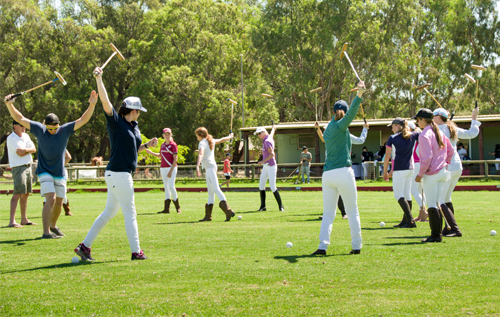 Participants enjoy a warm up stick and ball session, where Brett may offer individual advice on technique followed by a chukka at a trot. 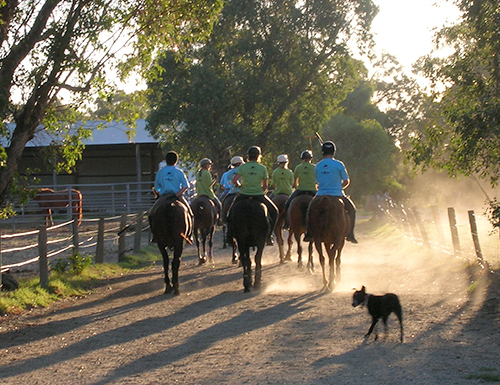 Trot Polo sessions can be organised for small groups and is a great way to get together with your riding friends. "Let other people play at other things, the king of games is still the game of Kings" - an ancient verse inscribed on a stone tablet on the silk route from China to the West, sums up the ancient history of what is believed to be the oldest organised sport in the world.